THE GROUP RESPONSIBLE for knocking both Xbox Live and Playstation Network offline back in 2014 hacked thousands of cameras and used them to carry out attacks. Lizard Squad made a name for itself after carrying out DDoS (Distributed Denial of Service) attacks, overwhelming a site with fake traffic and causing it to go down. Such attacks use numerous computers, usually infected by malware without the owner’s knowledge, to carry out the attacks, making it next to impossible to track down the source. 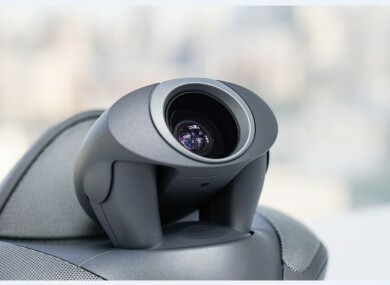 Now it’s used thousands of webcams and Internet of Things (IoT) devices – everyday items like fridges and TVs that can connect to the internet – to carry out attacks for it. When their bandwidth is combined, they have been able to launch botnet attacks as large as 400Gbs and have targeted gaming sites, government institutions, internet service providers and financial institutions. The hacking was discovered by the security firm Arbor Networks, which has been tracking the program causing these attacks since it was released back in early 2015. The reason why it has targeted IoT devices is because security is usually treated as an afterthought for manufacturers. Using a stripped down version of Linux leaves less room for security features and in some cases, they reuse the default password making it easier for someone to hack a device. More devices are now including internet connectivity as a way of improving them and making them smarter. However, there have been cases where such devices have been unwittingly used for botnet attacks. Recently, another security firm Sucuri came across a botnet consisting of more than 25,000 internet connected closed circuit TV devices which were used to carry out DDoS attacks. Email “Now webcams are being used by hackers to attack websites”. Feedback on “Now webcams are being used by hackers to attack websites”.